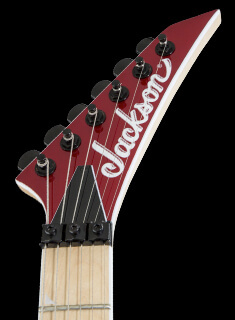 Built for speed and loaded with purebred Jackson DNA, Jackson’s X Series Soloist™ SLX models also come with a budget-friendly price tag. 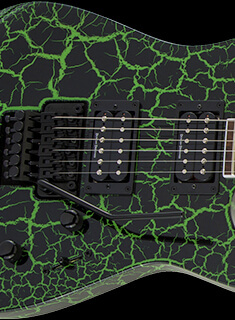 Taking style to molten heights, the newly added Green Crackle and Orange Crackle finishes feature green or orange magma running through the Black finish. 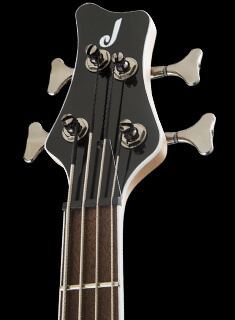 The volcanic SLX Crackle also features a basswood body paired with a through-body maple neck with graphite reinforcement and tilt-back scarf joint headstock. 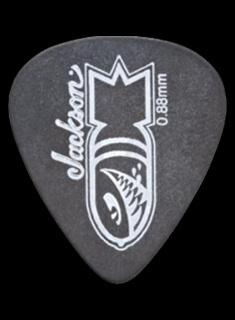 Hosting 24 jumbo frets and pearloid sharkfin inlays, its 12"-16" compound radius bound laurel fingerboard curves more dramatically at the nut for easy chording and flattens out as it approaches the neck joint for low-action bends without fretting out. 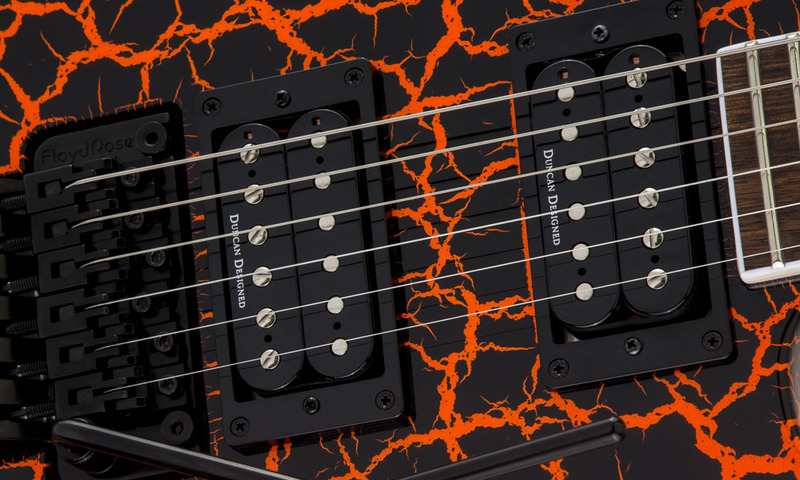 Duncan Designed™ alnico HB-103N (neck) and high-output ceramic HB-103B (bridge) humbucking pickups power this metal beast, which also includes single volume and tone controls, three-way blade switching and a Floyd Rose® Special double-locking two-point tremolo bridge system for superior string stability, improved sustain and dynamic tremolo action. 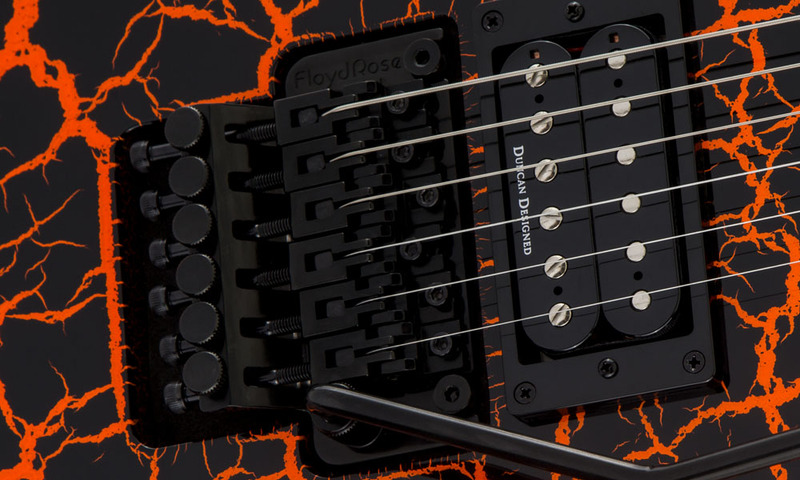 Ready to erupt, the SLX Crackle models are finished off with Jackson sealed die-cast tuners, black hardware and pointed 6-in-line headstock.